Sophia Children’s Hospital in Rotterdam under the supervision of Professor Henk Visser and became chief resident from 1983 to 1985. In 1985 he went to the United States, where he was accepted for a research fellowship (1985-1988) in paediatric infectious diseases at the University of Washington, Seattle, under the supervision of Professor Arnold Smith. In the summer of 1988 he returned to the Erasmus University in Rotterdam where he initiated a programme in Paediatric Infectious Diseases and Immunology in the Sophia Children’s Hospital. In 1991 he defended his PhD thesis entitled “Antibiotic Resistance in Haemophilus influenzae”. In 1998, Ronald became head of the PID training programme and Professor in Pediatric Infectious Diseases and Immunology in the Sophia Children’s Hospital/Erasmus University Medical Centre. During his tenure in Rotterdam he was involved in a large number of activities including a membership of the Board of Molecular Medicine (MOLMED), the largest research school in the Netherlands, treasurer of the Board of the Dutch Society of Infectious Diseases, secretary of Dutch Federation of Medical Societies and the director of a vaccine company, Vaxinostics, part of the Erasmus MC Holding. Ronald is one of the founding members of the Dutch Society of Paediatric Infectious Diseases as well as the Society’s first chairman, from 1994 – 1998. As an active member of ESPID since 1990,Ronald has been involved in many activities of the Society in the fields of research, teaching, education, training and organization of PID in Europe. May 1st 2005, he was appointed chair of the Department of Paediatrics of the University Medical Centre Nijmegen as well as Professor of Paediatrics at the Radboud University Nijmegen. Ronald’s research activities over the years have covered several themes including the study of respiratory tract infections, the molecular pathogenesis of infections by S. pneumoniae and Neisseria meningitidis, clinical and pharmacological studies in children with HIV, clinical and translational research in children with immunodeficiencies, vaccine studies and studies on viral host response interactions. Ronald is a member of a large number of national and international societies. 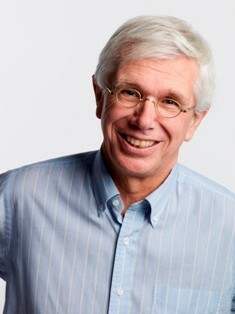 He was chairman of the Pediatric Association of The Netherlands (1998 – 2004). He also was a member of the Health Council of the Netherlands(2000-2014) and the Dutch Central Committee on Research involving Human Subjects(2009-2017), both Crown appointments. He is the recipient of the 2008 Bill Marshall Award of ESPID. In 2011, he received the prestigious Edgar Doncker Prize for Paediatrics in recognition of his substantial contributions in the field of Paediatrics and in particular in paediatric infectious diseases and immunology nationally and internationally. From 2013 until 2016 Ronald was President of the European Society for Pediatric Infectious Diseases. Since 2015 is Ronald member of the Board of the World Society of Pediatric Infectious Diseases and also treasurer and chairman of the WSPID Foundation. Ronald is an honorary member of the Pediatric Infectious Diseases Society of America. Ronald is currently emeritus Professor of Pediatrics (since 2013) with an appointment at the Radboud University Medical Center in Nijmegen. He is still actively involved in a large number of international projects including the PI of a Horizon 2020 project “PERFORM” and coordinator of an IMI project in which the Bill and Melinda Gates Foundation is involved, entitled PERISCOPE. Ronald has been thesis supervisor of more than 40 PhD students and is currently still actively involved in the thesis of 8 PhD students. He is (co)author of approximately 300 English language peer-reviewed papers, 50 national (Dutch) publications and numerous contributions to books. Ronald currently has a paid position as Professor emeritus in the Radboud University Medical Center.. He is not involved any more in clinical activities . He is president of the foundation “Vaccinology Masterclass organizing postgraduate training in vaccinology and also involved in multiple charity organizations.